These rare bottles and vintages, delivered in a luxury silk-lined polished wooden box, will make a memorable birthday or anniversary present. From flamboyant owners in fairytale Chateaux to humble " artisans vignerons", from Merlot to Sauvignon, from dry to sweet, Bordeaux will always be the classic choice. The birthplace of Pinot noir and Chardonnay, Burgundy makes the most romanticized wines in the world. Great Burgundies are not only found in a few expensive names but also in a myriad of little know villages. Birthday wine gifts, wedding wine gifts, anniversary wine gifts, corporate wine gifts and Christmas wine gifts. 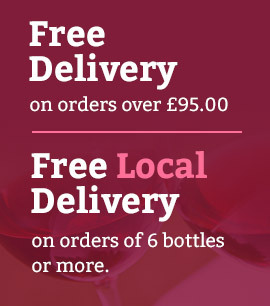 Our quality wines and champagnes gift packs are available with a free card and message at check out. Over the past twenty years we have built up a good reputation for sourcing fine French wines from small Chateaux and vineyards, where we personally know the growers. 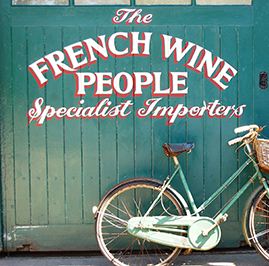 Many make award winning wines which are only available through us. Through group buying we also supply some of the smaller, boutique orientated brands, at competitive prices or wines with “ personality “ from most countries in the world. Cristal Champagne from Louis Roederer or the full range from Cloudy Bay are just two examples.